Window blinds are an essential fitting for most offices. They might seem like a rather basic and unnecessary cost for some people, but office blinds come with a heap of benefits that naked windows are missing out on. Whether you’re looking for a little more privacy or light control, window blinds are a key investment for most offices. Window blinds can be both practical and stylish, with a range of different designs to choose from; vertical blinds, venetian blinds, roller blinds and cassette blackout blinds. Vertical blinds are a common choice for the office place, as the vertical style means that they are less likely to collect dust, unlike venetian blinds. This is great for people looking for a low-maintenance solution which will still provide all the benefits expected. Venetian blinds are made up of metal, plastic or wooden slats running horizontal across the window or door, suspended by cords. Unlike vertical and venetian blinds, roller blinds do not have slats or several openings, and are instead just one strip of material, usually stiffened polyester. 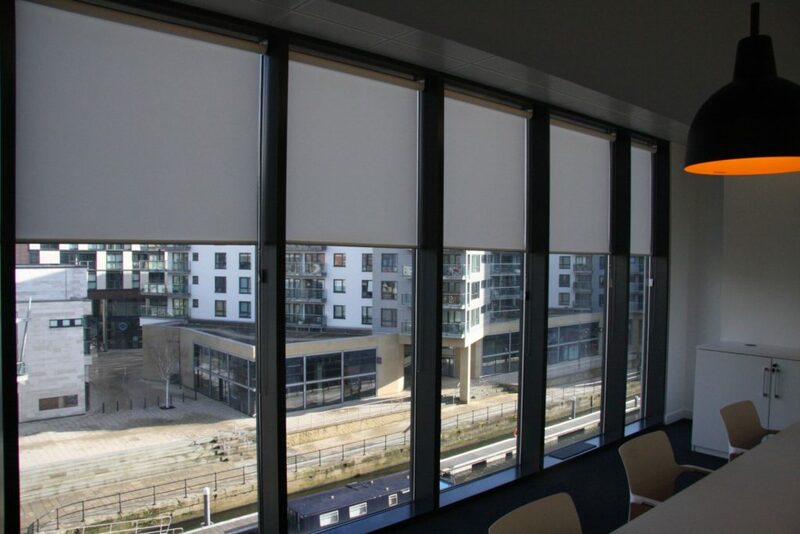 Thie is similar to the style of blackout blinds, except they are made out of a completely opaque material, so that no light can pass through when close. These are particularly useful to help create a type of ambience in certain rooms. While window blinds are a practical necessity, they can also be used as a way to inject style and design into an environment. The wide range of styles, colours and materials available, it’s easy to customise your window blinds to suit the overall look of an office environment, and even transform it. Of course, one of the main functional benefits of window blinds, and one of the main reasons why they’re so popular, is how they allow you to have complete control over the amount of light penetrating a room. With a simple pull of a cord or roll of a string, you can either block out sunlight entirely, or opt to allow as much light into the room for a bright, airy atmosphere. This also gives you the ability to reduce any glare, which can be a huge disruption in the workplace. 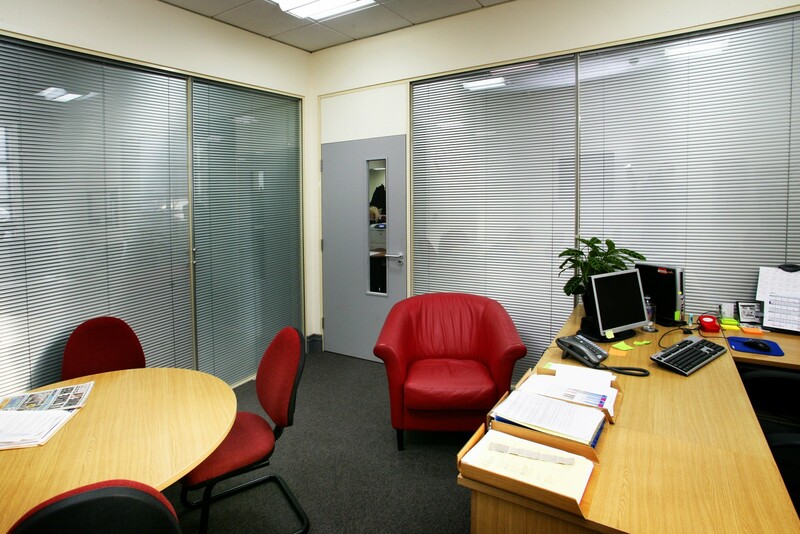 Glare on computer screens or presentation boards can make it quite difficult to operate as efficiently as possible, which is where office blinds come in so handy. Office blinds have been proven to reduce heat loss by as much as 58%, as they are brilliant tools when it comes to insulating a window. On the other hand, blinds are also effective when it comes to shading an area from too much heat entering the room, thus reducing as much need for air conditioning units. With this as a method of heat control, together with light control, it is clear to see that window blinds can help to significantly reduce energy bills, and can be seen as a way of the initial installation cost covering itself in the long run. While noting that window blinds are incredibly stylish and practical, it’s important to point out that they are also hugely important when it comes to privacy and security. As with any commercial premises, there is undoubtedly going to be some valuable equipment on site. The less that people can see of this, the better. 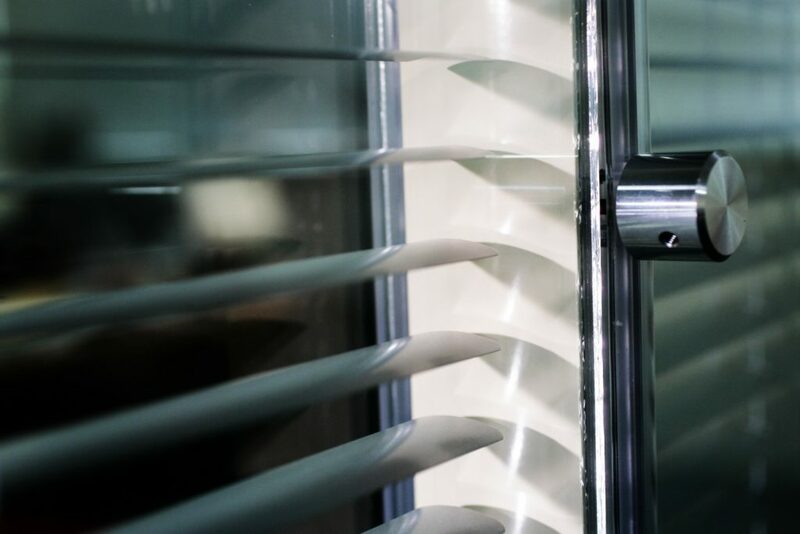 So, installing window blinds and keeping them firmly closed out of hours, is an important added security feature and might just prove to be your best investment yet. We highly recommend window blinds for any office space, whether it’s for added privacy and security, or a way to cut the energy costs. Check out our range of window blinds available here.